Food Safety: Where Are We Headed With Supply Chain Traceability And Food Safety? Home / Articles / 2012 / Where Are We Headed With Supply Chain Traceability And Food Safety? Where Are We Headed With Supply Chain Traceability And Food Safety? As more consumers want transparency with their food ingredients, the food and beverage industry must wrestle with what that means for the supply chain and the costs passed back on to consumers. The Food and Drug Administration reports 48 million Americans get sick each year from foodborne illness. The Food Safety Modernization Act of 2010 has improved food safety and quality in the U.S. by developing programs and practices to promote the safety of our food. Comprehensive preventive controls for food facilities include stricter operating standards and enforcement of accurate labeling, such as through ongoing and more frequent inspections, expanded record keeping and accessibility, mandatory recalls, enhanced testing, mandatory certifications, and perhaps most importantly, enhanced product tracing. Supply chain traceability is one of the most complex areas of food safety and, undoubtedly, will be where the greatest amount of change will occur in the future. The FDA finds that 15 percent of the entire U.S. food supply is imported. By sub-category, 75 percent of seafood, 50 percent of fruit and more than 20 percent of vegetables in the U.S. are imported. According to Global ID, a company focused on highly specialized food testing, certification, and supply chain tracing, in some popular species of seafood, such as Red Snapper, approximately 70 percent of the fish consumed in the U.S. contain "species fraud," which means that the fish you think you are eating is actually another type of fish. Additionally, a significant amount of the crops consumed in the U.S. have been genetically engineered, with almost the entire corn and soybean crop in the U.S. containing some level of genetically modified organisms. Although GMOs have not been linked directly with foodborne illness, the long-term effects are unknown and, justified or not, the public is becoming increasingly wary of foods containing GMOs. Brian Boyle is a managing director at D.A. Davidson & Co. and is head of the food & beverage practice of investment banking. He can be reached at (312) 525-2776 or by e-mail at: bboyle@dadco.com. For an idea of what the future holds for food safety, we need look no further than California. Recently, voters narrowly defeated proposed legislation, Proposition 37, which claimed that consumers have the right to know whether the foods they purchase are produced using genetic engineering. The initiative's key provision required that foods purchased for at-home consumption be labeled "partially produced with genetic engineering" if the food contains at least 0.5 percent (by weight) of a genetically modified ingredient; by 2019, the threshold would have dropped to zero. Furthermore, "natural" would be prohibited from labels of foods produced with genetic engineering. Should consumers have the right to know that their food contains trace amounts of GMOs? Perhaps, but they should also know the associated costs. A study by two professors in the Department of Agriculture and Resource Economics at the University of California, Davis, showed that Proposition 37 would impose about $1.2 billion in additional costs on California food producers annually to meet segregation, monitoring and certification costs. This estimate does not include other costs such as relabeling and advertising, maintaining documentation of non-GMO ingredients, and defending against exposure to inevitable bounty-hunter lawsuits. Imagine the costs nationally as other states adopted similar measures. Much larger costs loom when evaluating the potential imbalances created in the supply chain, especially for companies that pride themselves on being "all natural." If such companies had to source all of their ingredients from non-GMO suppliers, the supply-demand balance would be adversely affected. Consider all of the products on the market today that contain corn or soy by-products. Significant and unprecedented price discrepancies for non-GMO ingredients versus those that are truly "all natural" would arise. Seed producers, farmers, grain handlers, food producers and food retailers would all experience higher costs; ultimately, additional costs would be passed on to consumers, creating significant price inflation. Proposition 37 will undoubtedly come back to the ballot, albeit in a different form. Some experts predict the GMO threshold levels will be raised so that there would be reduced costs for food producers to be compliant, creating savings that would ultimately be passed on to consumers. A threshold of, say, 5 percent would potentially eliminate hundreds of millions in additional costs to the system. Defeated by a margin of just 53 percent to 47 percent, Proposition 37 provides a glimpse into the future of verifying the authenticity of our food. Food companies must prepare for changes in federal labeling laws and formulate strategies for either sourcing non-GMO ingredients or re-positioning their brands to reflect the reality of the genetically engineered world we now live in. But food authenticity goes well beyond testing for GMOs. Food authenticity will be managed through sophisticated supply chain tracking and repeated DNA testing on both the front end and back end. For example, many products today might only list eight to 10 ingredients on their labels. Some ingredients, however, could be complex and composed of several sub-ingredients. 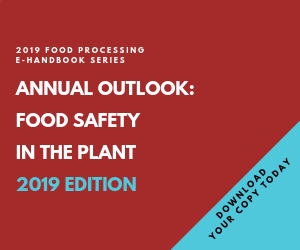 For each sub-ingredient, companies will need to know the origin, track by location or the facility of origin, monitor transportation and logistics, and test for authenticity and the potential for foodborne illness. While testing and supply chain tracking may sound like a daunting task, the necessary technologies are already developed and available. In the future, what will change the most is the uniform implementation and consistent use of these technologies.